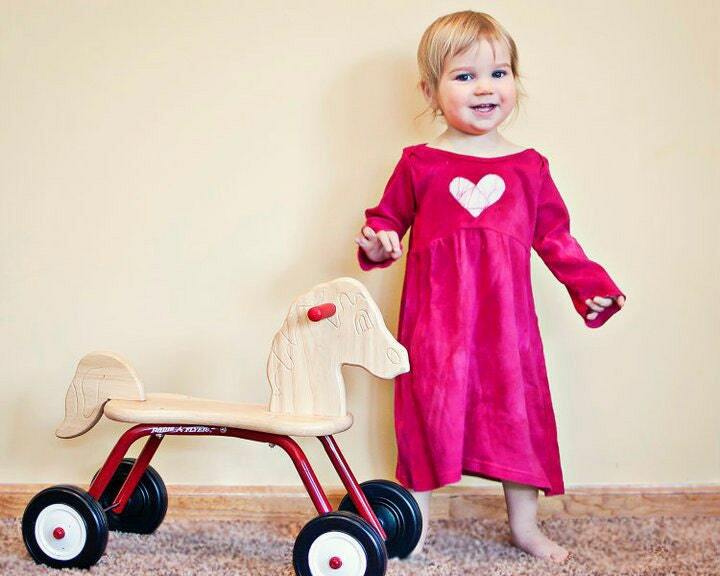 These little toddler dresses are super soft, and this little pink dress is no exception! Imagine how cute she will look in this dress paired with leggings or tights! This dress is a size 12 months long-sleeve baby dress. 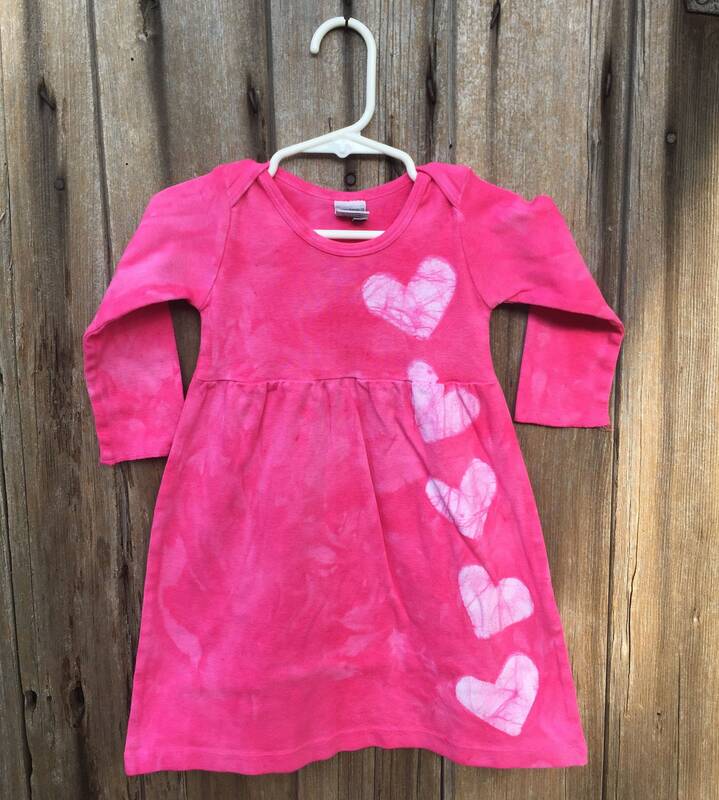 I stenciled hearts onto the bodice and skirt before dyeing the dress the prettiest shade of baby pink I've got. The dress has lap shoulders for easy dressing. 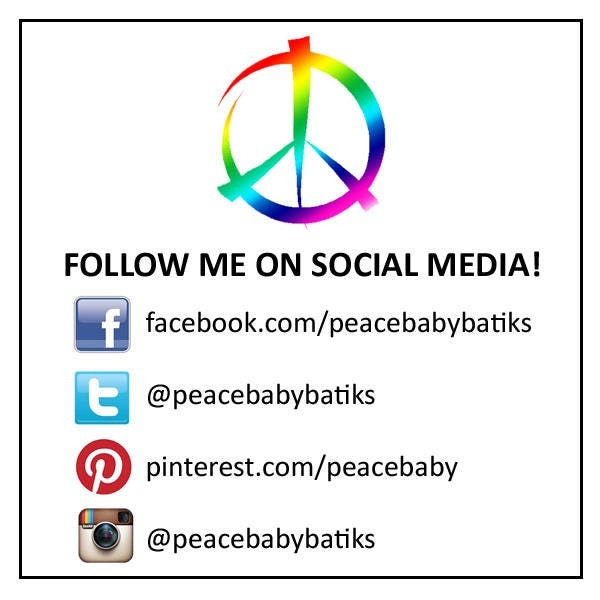 Peace, Baby! 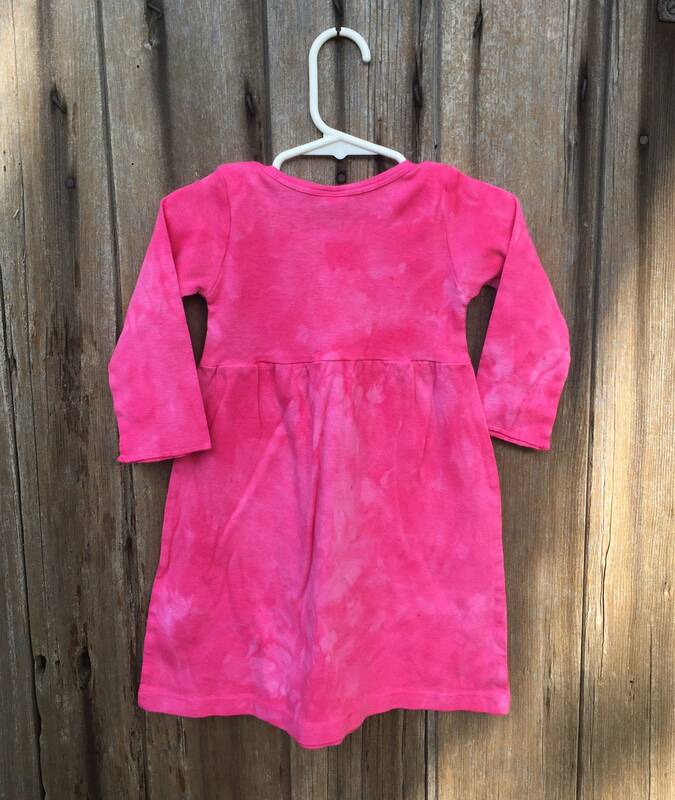 Batiks are one-of-a-kind, hand-dyed garments for kids and kids at heart. 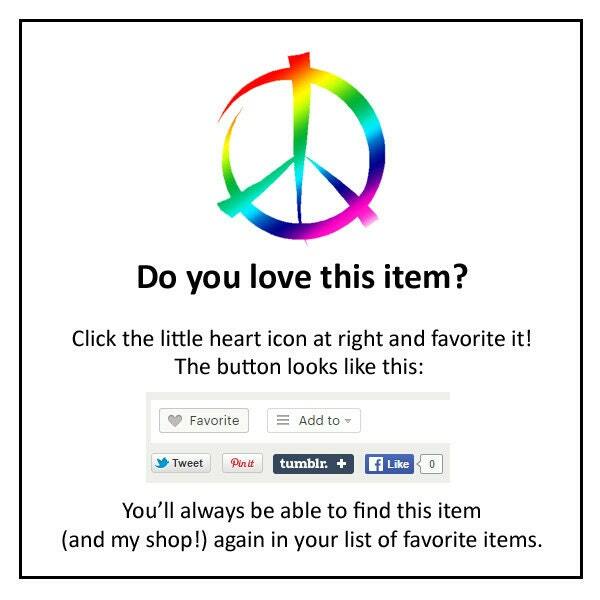 I design for fun, so I look for cute graphics and bold colors. Each shirt I create is unique – the dye never takes the same way twice, and the cracks in each design are always different. All of my garments are 100 percent cotton and prewashed, so they’re preshrunk by the time they get to you. Care: Wash on cold with like colors.